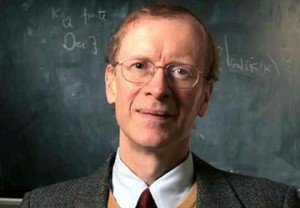 Andrew Wiles was born on April 11, 1953, in Cambridge, England. His father, Maurice, was the Professor of Divinity at the University of Oxford. Since he was a young child, Andrew was always interested in mathematics. He would finish all of his schoolwork only to make up new math problems that he solved on his own. He also rented out books from the library near him, which he used to find new math problems that would challenge and teach him. One of the books that Wiles rented from the library was on the subject of Fermat’s Last Theorem. This was actually an unsolved math problem that had not been figured out for over 300 years. Andrew took this problem as his own and set his sights towards solving it, even though he was only 10 years old at the time. Although he thought this problem would be easy to solve, it proved otherwise. This led to him giving up on finding the proof so that he could focus on learning more to help him solve it later. Andrew attended King’s College School and The Leys School, both in Cambridge, during his childhood. He then attended Merton College in Oxford in 1971, which is where he got his bachelor’s degree majoring in mathematics. He also got his Ph.D. in 1980 and did research at Clare College. In 1981, Andrew was offered a professor position at Princeton University, which he accepted until 1985 when he became a Guggenheim Fellow in Paris. In 1988, Wiles was employed by Oxford University as a Royal Society Research Professor, which he stayed at until 1990. After this he went back to Princeton to teach, only to go back to Oxford in 2011. At the age of 33, Wiles felt he had the education necessary to start working on Fermat’s Last Theorem once again. From 1986 to 1993, he spent all of his time and energy doing research to find the proof for this theorem. His proof was presented to the public in early 1993, but a few months later there was an error found in it. Wiles worked hard to figure out how to fix his proof, and found it a year later in September of 1994. This proof was then complete and published in the Annals of Mathematics. Even the most famous mathematicians in the world could not find a problem with his proof, making it extremely famous and important to math today. Wiles has done a number of interviews about his proof and he has even been featured on several different television shows. Some of the awards he has been given include the Schock Prize in 1995, the Royal Medal in 1996, the King Faisal Prize in 1998, the Pythagoras Award in 2004 and the Shaw Prize in 2005. Today, Andrew Wiles is living in the United Kingdom, which is where he is a citizen. He is a member of the U.S. National Academy of Sciences and he spends a lot of time traveling. Andrew married before he found proof for Fermat’s Last Theorem and is currently still married with two children.